The company, TurkTrust, revealed this week that in August 2011 it accidentally issued to two master keys to two "entities." Master keys, which are called intermediate certificates, allow the entities to create digital certificates for any domain on the Internet. Digital certificates are actually encryption keys used to verify a website is what it says it is. The certificate for your bank, for example, verifies to your browser that you're actually talking to your bank when you do online banking. 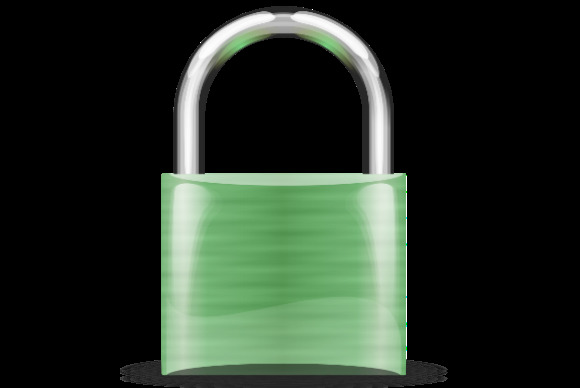 Certificates are used to encrypt information between you and a website, too. That's what the green padlock on your browser's address bar means. The browser is communicating with the website using Secure Sockets Layer, after verification of its authenticity. An Internet miscreant with a bogus certificate who can intercept communication between you and a trusted website can fool your browser into believing it's communicating with the trusted site and hijack your communication. That's called a "man in the middle attack" because the thief sits between you and the trusted site. TurkTust's mistake was discovered by Google on Christmas Eve by a feature it has in its Chrome browser platform that raises a red flag to Google when someone tries to use the platform with an unauthorized certificate. After discovering the certificate problem, Google informed TurkTrust of the situation, as well as Microsoft and Mozilla, who have all modified their browser platforms to block rogue certificates created with the intermediate certificate authority. This certificate snafu is just the latest sign that the existing system of issuing digital certificates needs mending. In March 2011, for example, a company affiliated with certificate issuing authority Comodo was breached and nine bogus certificates issued. Later in the year, hackers breached a Dutch certificate authority, DigiNotar, and issued dozens of bogus certificates, including one for Google. The fallout from that incident put the company out of business. A number of proposals have been aired to address the security problems surrounding certificates. There's Convergence. It allows a browser to get a second opinion about a certificate from a source chosen by a user. "It's a brillant idea, but as soon as you get on a corporate network and you're behind a proxy or behind a network translator, it can break," Chet Wisniewski, a security advisor with Sophos, said in an interview. There's DNSSEC. It uses the domain naming resolution system—the system that turns the common names of websites into numbers—to create a trusted link between user and website. Not only is the system not easy to understand, but implementation could take years. "The problem with DNSSEC is it requires implementing a new technology and a coordinated upgrade of infrastructure before we can take advantage of it," Wisniewski said. "With the adoption rates that we've seen so far that means we won't have a solution in place for ten or 15 years. That's not good enough." Also proposed are two "pinning" techniques—Public Key Pinning Extension for HTTP and Trusted Assertions for Certificate Keys (TACK), which are similar. They allow a website to amend an HTTP header to identify certificate authorities it trusts. A browser would store that information and only establish a connection to a website if it receives a certificate signed by a certificate authority trusted by the website. The pinning proposals are the most likely to be adopted to cure the certificate problem, according to Wisniewski. "They could be adopted in short order," he said. "They allow people who want to take advantage of advanced security to do so right away, but it doesn't break any existing web browser that's not updated." Whatever scheme browser makers adopt to address the certificate problem, they need to do it soon. Otherwise, snafus will continue to proliferate and trust on the Internet may be irreparably harmed.